YET ANOTHER WEEK GOES BY AND WHO KNOWS HOW MANY MORE ILLEGAL BOAT PEOPLE HAVE SNUCK INTO THE COUNTRY . ONCE HERE THEY ARE ABLE TO GO THROUGH OUR COURTS AT TAXPAYERS EXPENSE IN A BID TO STAY HERE . OFTEN THIS WILL TAKE YEARS TO GO THROUGH AND WHILE THEY ARE HERE WE HAVE TO PAY TO FEED CLOTHE AND HOUSE THEM . TODAY IT WAS ANNOUCED THEY WERE CONVERTING THE OLD WOOMERA ROCKET RANGE INTO A DETENTION CENTRE . IF WE GOING TO LOOK AFTER THEM THIS IS JUST THE PLACE TO KEEP THEM IN THE MIDDLE OF NOWHERE ALL HOT AND DUSTY . NOT TOO MANY LUXURIES HERE I WOULD SAY . THOUGH ON THIS ONE I WOULD HAVE TO AGREE WITH OL STAN . AS SOON AS THEY GET HERE WE SHOULD SEND THEM STRAIGHT BACK HOME . NO EXCEPTIONS , NO COURT CASES AND IF AT ALL POSSIBLY TRY AND MAKE THEM PAY FOR IT . HERE ARE STAN'S VIEW ON THIS MATTER . 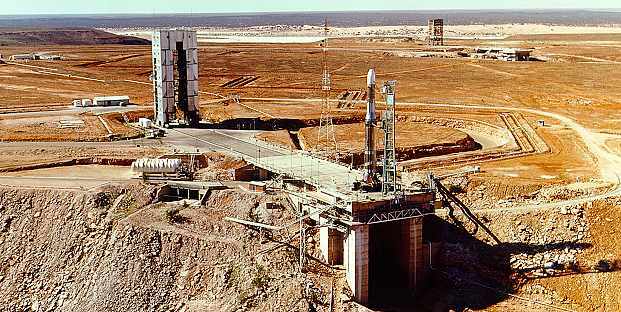 YES I SEE A FORMER WOOMERA ROCKET RANGE IN OUTBACK SOUTH AUSTRALIA IS GOING TO BE TURNED INTO A NEW EMERGENCY DETENTION CENTRE TO COPE WITH THE FLOOD OF NEARLY 700 BOAT PEOPLE INTO AUSTRALIA OVER THE PAST WEEK . AREN'T THEY GOING TO LOVE THAT , AREN'T THE DO GOODERS GOING TO LOVE THAT IT SEEMS EXISTING DETENTION CENTRES ARE OVERFLOWING AND THE CURTIN AIR BASE TENT CITY IS ALSO NEARING ITS LIMITS . WHILE THE WOOMERA DETENTION CENTRE WILL BE ABLE TO ACCOMANDATE MORE THAN 400 PEOPLE IT IS EXPECTED TO COST MORE THAN ONE MILLION DOLLARS TO ESTABLISH . AS FAR AS I'M CONCERNED ITS A MILLION DOLLARS THAT OUR TAXPAYERS SHOULD NOT PAY . I CAN'T BELIEVE WE'RE FORKING OUT ENDLESS DOLLARS TO LOOK AFTER PEOPLE THAT HAVE FORCED THIER WAY INTO THIS COUNTRY ILLEGALLY IT IS JUST LUDRICROUS . WHAT DO YOU THINK SHOULD HAPPEN SHOULD THEY BE PUT ON THE PLANE STRAIGHT OUT OF HERE AGAIN WITHOUT EVEN TOUCHING WOOMERA ROCKET RANGE . WHAT DO YOU THINK MAYBE WHAT WE SHOULD DO PUT THEM ON A ROCKET . PUT THEM ON A ROCKET YEPPP PUT THEM ON A ROCKET STRAIGHT BACK HOME .